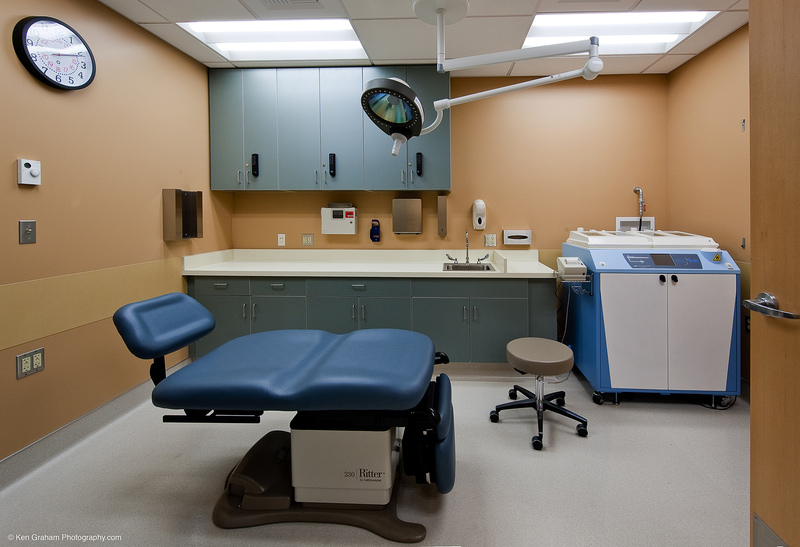 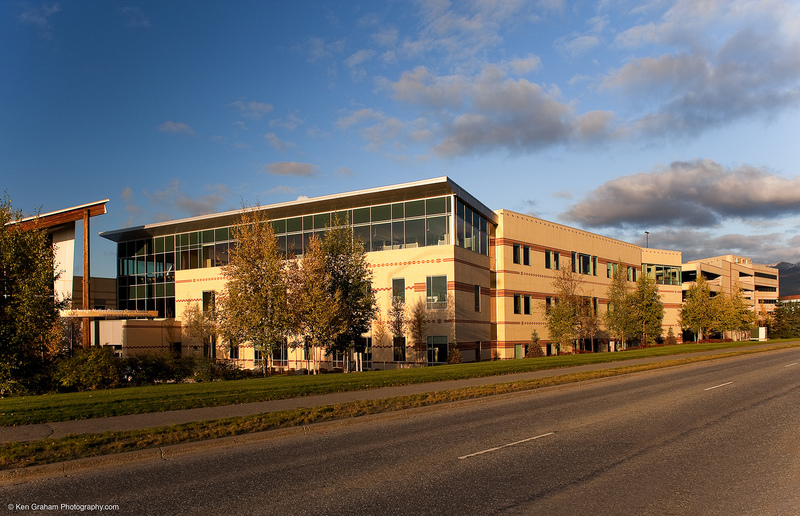 The Southcentral Foundation’s Primary Care Clinic 3 is located on the Alaska Native Medical Campus in Anchorage, Alaska. 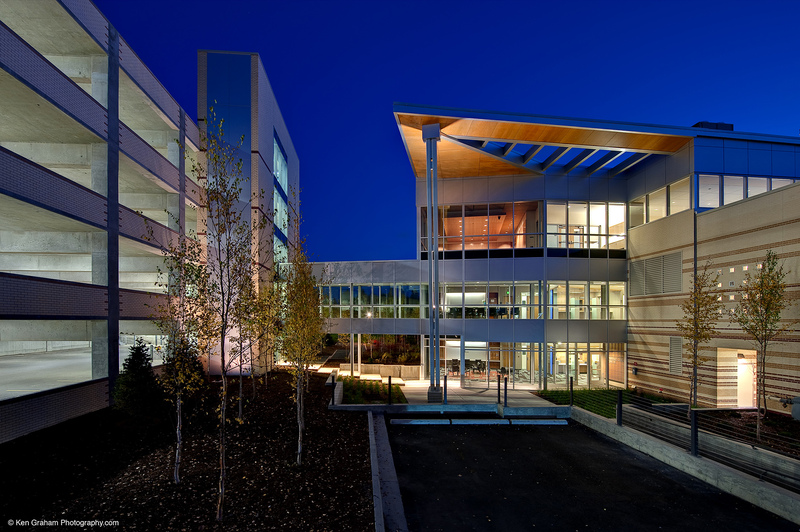 PCC 3 is a three-story, 79,000SF facility addition to the two-story, 83,000SF existing facility. 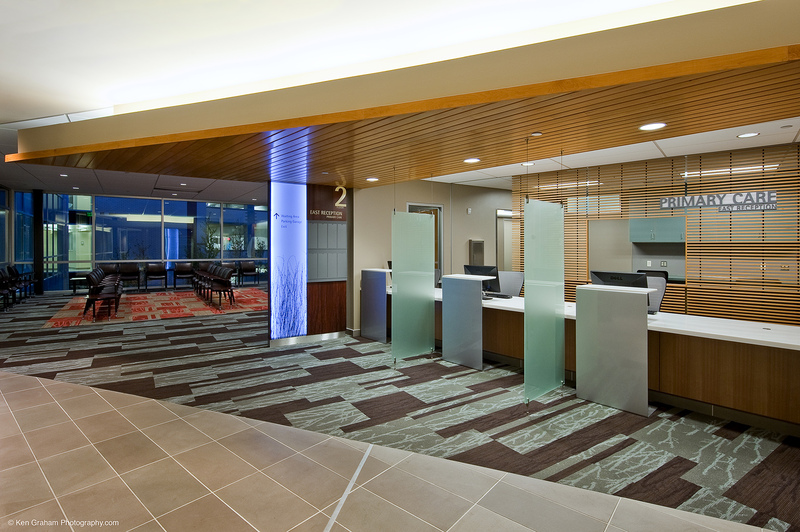 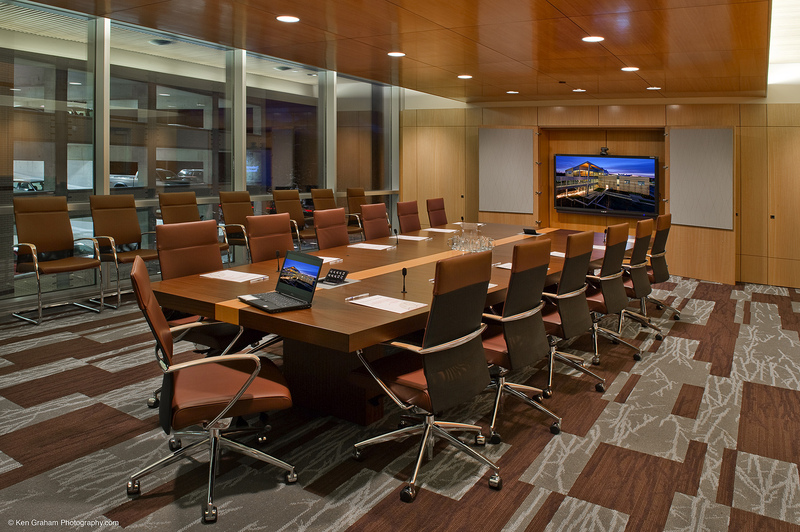 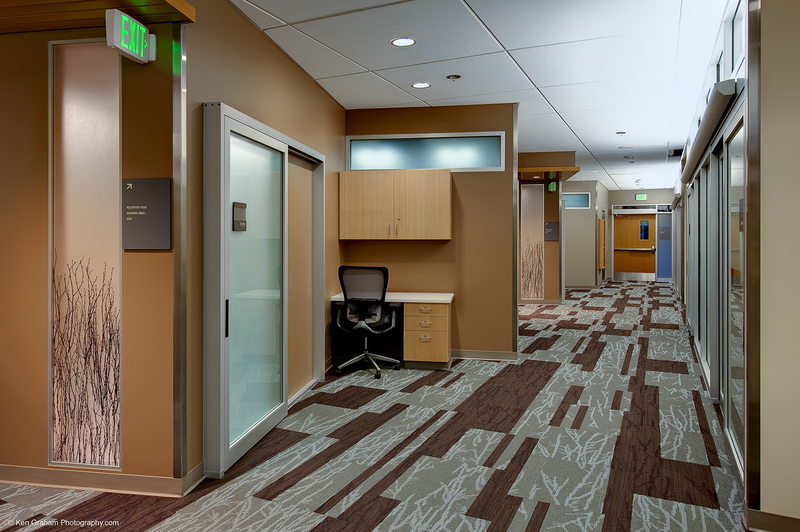 The new facility provides connectivity to the main lobby and 2nd floor of the original Primary Care Clinic, and has direct connection to a new parking garage by means of an elevated, protected pedestrian bridge at the 2nd floor level. 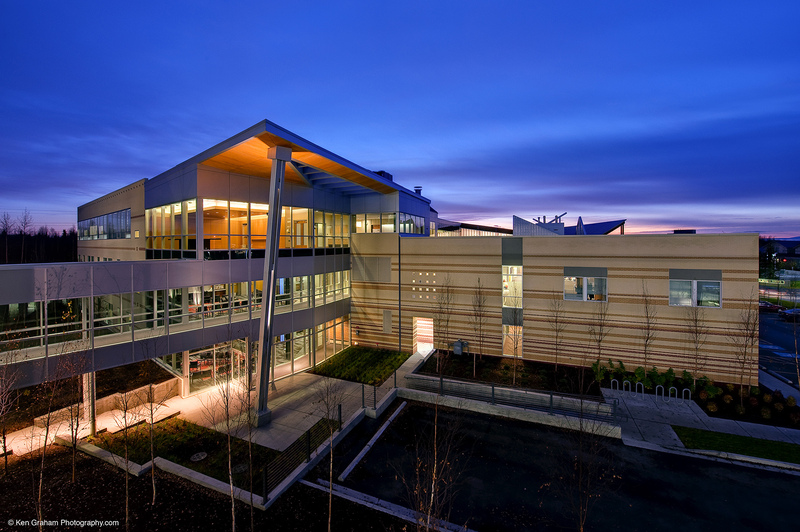 This project was built on a fast-track schedule as part of the Design-Build proposal for the project. 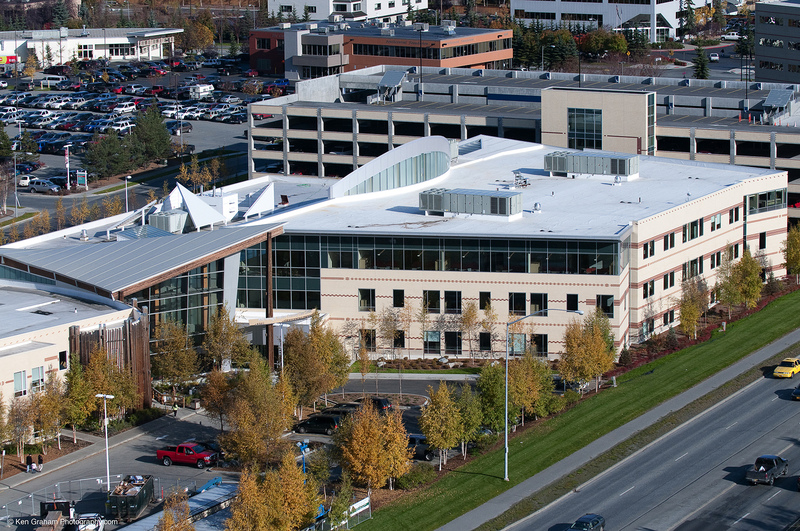 The initial phase was the Design-Build 172,500SF parking structure, in order to meet the schedule for the first building season; the clinic had to be in the ground and heated by the end of the second building season.